Rating: Greatly liked to love! Did I finish? : Yes, quite greedily! 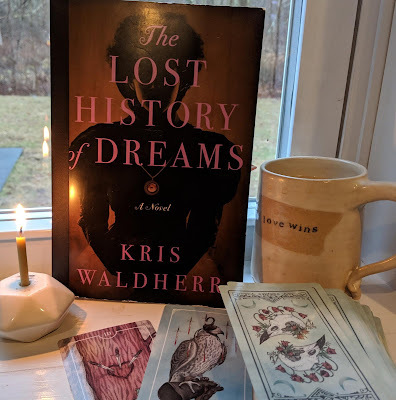 One-sentence summary: Interconnected stories centering around a family of Ukrainian immigrants in New York City and their friends and lovers. Do I like the cover? : I do -- New York City is ever present in the stories, and the punch cut vaguely looks like men staring at each other -- the twins, perhaps? First line: Misha's papa had disappointed before. Did... I read this in a day? : YES. About four hours, a little longer, another book I picked up to thumb through and found myself unable to put down. Am... I half daydreaming of a sequel to see where the twins are now? : YES. The stories are set before 9/11 and the twins are 23. I'd love to know where they are now, how a decade has changed them. Buy, Borrow, or Avoid? : Borrow or buy -- a beautiful collection that will steal you. Why did I get this book? : I love fiction about immigrants. 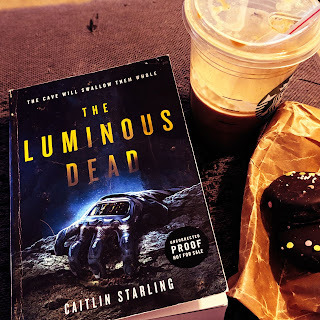 Review: Another book I'm struggling to review because I enjoyed it so much (why is it so hard to review something really good?). This subtitle of this book is 'Stories' (as opposed to 'A Novel') but there's more cohesion in this than in some novels I've read. The stories center around fraternal twins Ivan and Misha, Ukrainian immigrants living in New York City, and their small sphere: their father Louie, Misha's boyfriend Smith, Ivan's lovers and confidantes. 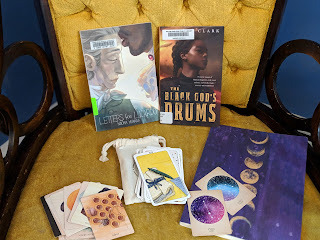 Each story begins almost in the middle -- it would take me a minute or two to figure out who the focus of the story was, when the story was set -- but despite my brief disorientation, I read on because the characters so intrigued me. There's a bittersweet sadness to the stories that comes from the few secrets kept between the brothers, the tension of family and the other people who want them (or worse, don't). I don't read much fiction about fathers and sons, but certainly I could relate to the uncomfortable agony of a frustrating parent or sibling. The secondary characters aren't just foils for Ivan, Misha, and Louie -- they're vibrant and have their own complicated back stories, jostling for the reader's attention the way they jostled for Ivan and Misha's attention. This is a book that will stick: I'm wishing for a sequel, so to speak, so I can see where the twins are now, a decade later, and if they've found happiness and peace and love. Alenyikov's writing style was the star for me: the narrative is nearly dreamy, a mix of dialogue and stream-of-consciousness, flashback and action. That makes it sound very convoluted, but it isn't; I was reminded of Jeanette Winterson and Anne Carson, maybe Michael Cunningham a little. Alenyikov created unease, quietude, or amped-up anxiousness with his writing style, depending on who the focus of each story was, and I loved that even the prose had personality. New Yorkers will want to read this as Ivan is a cabbie and the city looms and supports, a constant backdrop to the stories. (There's a bit with a Mormon missionary looking at the nighttime skyline, and he says: "They say it's a godless place, but unless it's the devil's work, this is, well, you know, it looks like heaven." I figured New Yorkers would crow with delight.) Still, whether you're blessed to be from New York City or not, pick up this book: it's a slender read (less than 200 pages), but meaty, a wonderful and heartbreaking look at love, family, and belonging. 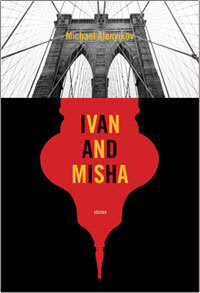 I'm thrilled to offer a signed copy of Ivan and Misha to one lucky reader! To enter, fill out this simple form. Open to US/CA readers, closes 9/23. 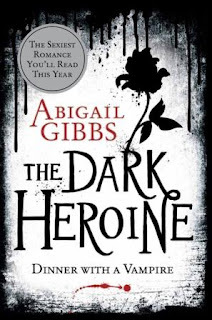 I read another review of this yesterday where the reviewer was a little squiked out by some of the themes early in the book, but I have to say that it does sound really interesting and like something I could really enjoy. I love the portrait of New York that it creates, and the family dynamics sound very intense. Great review! Please do consider me for your giveaway as well! @Heather: Yes, I know exactly what moment the reviewer was likely referring to -- and it was very upsetting but didn't detract from my pleasure in reading this whole book. It is intense, but not kill-yourself-miserable, you know? I so enjoyed it. @bookspersonally: I suppose they're short stories although they're more like vignettes with different POVs, circling the same people. Really wonderful. I'm the reviewer that was squiked out, (hehe Heather), but I agree with you that the writing in this book was absolutely wonderful. That and I did truly like the characters and that was what kept me wanting to keep reading this book. But yeah I really struggled with why there was that one theme (starts with an I ends in a T, lol) in the book, multiple times. Like I really don't get what part that had to do with the book. I think it would be close to perfect without that. I forgot about the quote by the Mormon kid. Love that. I'll have to add this one to my short story list. 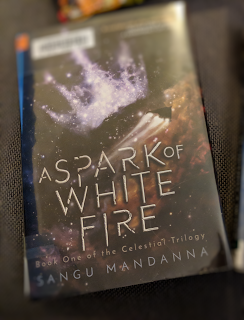 I'm trying to read more of them, and I'm drawn to interconnected stories so much already. Thanks for bringing this one to my attention! @Jenny: This is the second or third book involving gay twins in which that has happened so I kind of didn't blink -- but maybe I should have? I have a few theories or ideas as to the meaning, perhaps, of the inclusion but I won't say anything here to save spoiling anyone the story. If you want to chat, we should email! I love interconnected short stories/vignettes and books about immigrants, so I think I'd like this book. I've been reading a lot of NYC based stuff lately and while I didn't like living there, a few years ago, I will always have several fond memories of the place. Thanks for the review! @iwriteinbooks: I feel that way about South Beach. I found it impossibly hard to live there while I was there, but now, I've got such sunny (literally!) memories. I saw you were reading this on Shelfari and was instantly curious. Think I need this one for sure. Great review! @Picky: I really think you'd enjoy this book -- and you're right -- trying to distill this book feels unfair! Carrie & Anna: It's really so lovely, jumping from one POV to another, but circling around the same characters -- everyone is fleshed out and light and shadows cast. Blodeuedd: If you see it again, do let me know! I love reading about the immigrant experience. This sounds so interesting, I'm looking forward to reading it. You had me when you said that this collection of stories has more cohesion than some novels you've read. I would love to read this. I'm a big fan of immigrant stories...and Ukrainian immigrants are not a sect you read about too often. This sounds fantastic...so many of the things you said in your review had me practically cheering and that doesn't include the fantastic setting! I love your comment that this collection of stories has more cohesion than some novels you've read; I love that Misha & Ivan are fraternal twins; I love that you read this in about 4 hours after intending to just leaf thru it and I love that you describe Alenyikov's writing style as nearly "dreamy"! 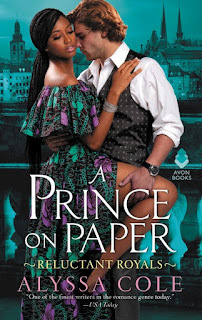 Thank you Audra for bringing another beautiful book to my attention via a terrific, fun review. I waited to read your review until mine was done, so I know I'm chiming in late, but I loved the book as well! Some of the themes were very heavy, but I did love the characterizations -- especially Louie. Great review!